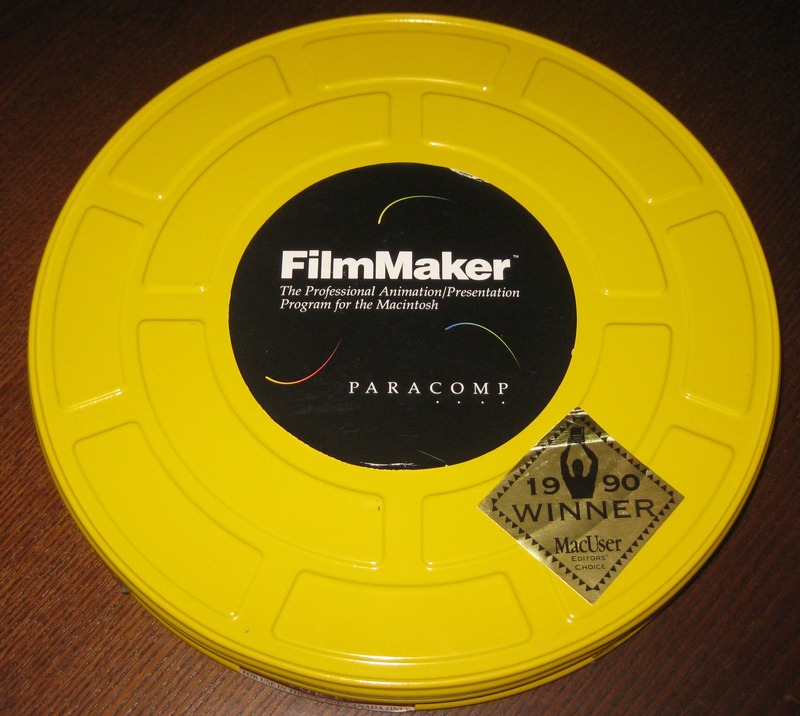 This is the last part of the series, at least until some more multimedia software shows up at my favorite thrift shop or the other boneyards I scavenge. 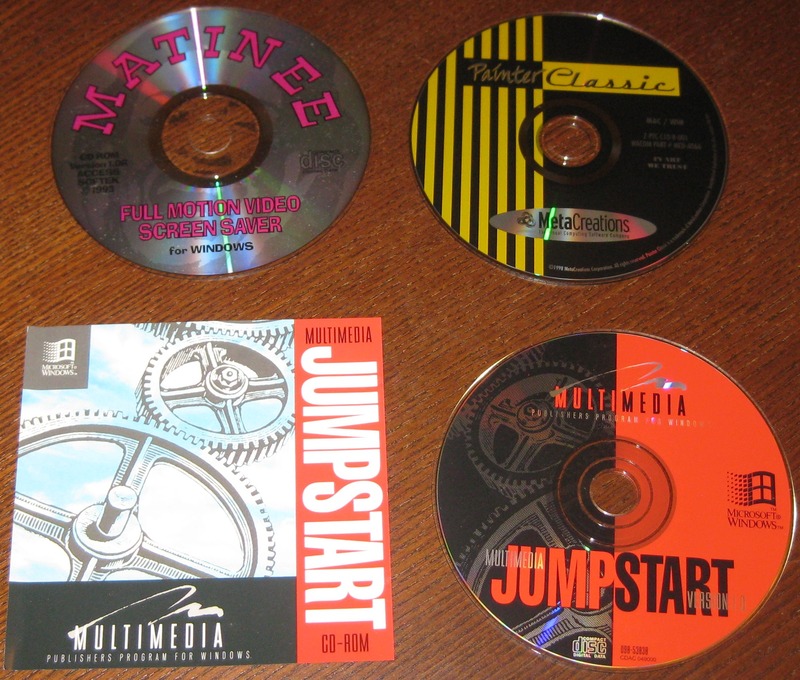 This set includes the titles Matinee FMV Screensaver, MetaCreations Painter Classic, and Multimedia JumpStart. The second one is likely a creation program. I have no idea what the third one is, while the first title gives me chills just thinking about the implications. 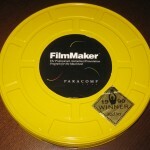 Capture, author, encode, and publish multimedia in Real, QuickTime, Windows Media, MP3, DV, and MPEG formats. 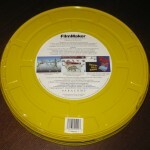 This package has a copyright date of 2001 (thus predating Flash video by a few years). 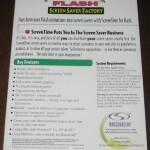 This software seems to have since been purchased by Autodesk and is up to version 6.5 (which does support Flash video). This installment includes a bunch of old, discontinued Adobe software as well as some Flash-related mutlimedia software. 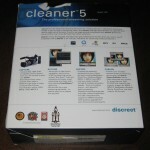 Requirements include Windows 3.1, 95 or NT 3.5.1. 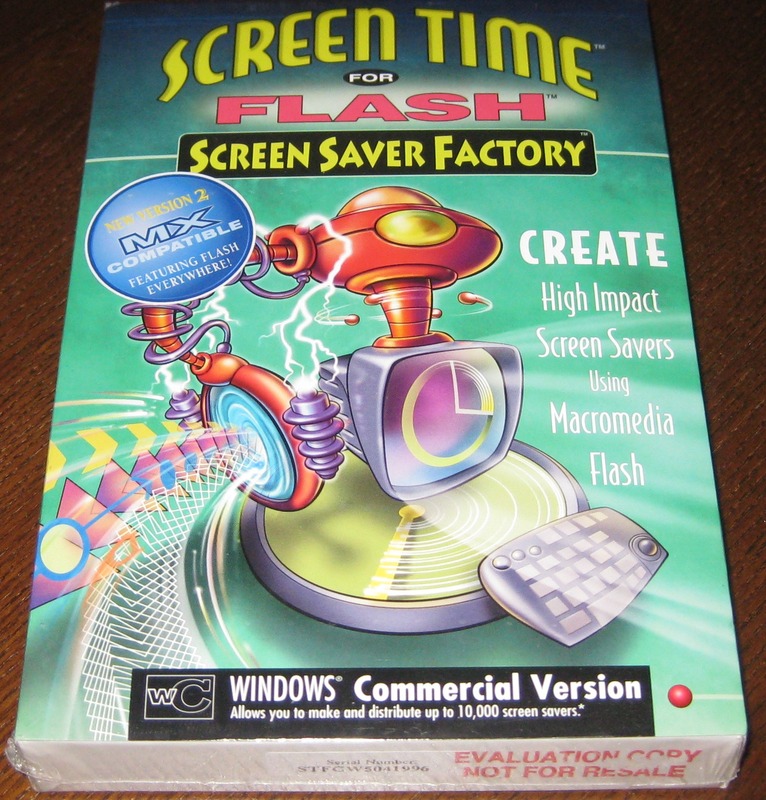 A 486 computer is required to play the resulting screensavers which are Flash projectors using Macromedia Flash 3.0. 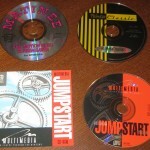 Many years ago, I found a boneyard of old software, much of it related to the creation and processing of multimedia. I was permitted to liberate anything of my choosing from this cache. This is the same pile where I found this Apple QuickTime format spec as well as this perfect form factor floppy disc box. So I have been sitting on the stuff for awhile. I thought I might get the chance to study it a bit more closely one day. But now I’m interested in getting rid of it. Before I do, it’s more or less traditional for me to photograph it and post it on one blog or another. Also, if you know of any software collection groups who would be interested in taking this stuff off my hands, do let me know. As usual, click a picture for a much larger image. 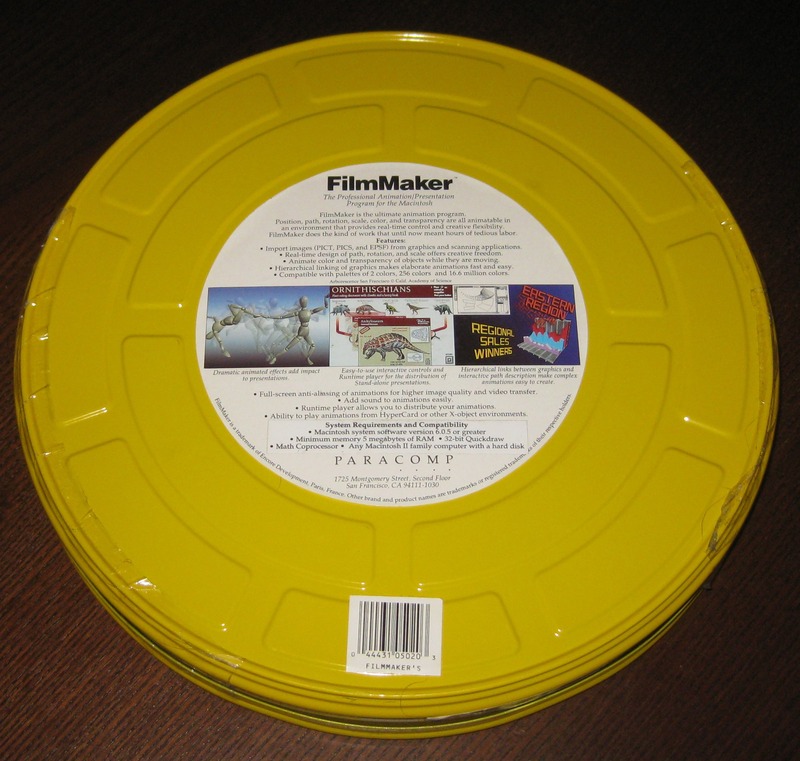 This is easily the most distinctive piece in this collection and it’s easy to see why– the software is packaged in a film cannister. Still sealed, and I don’t have a good reason to open it now. 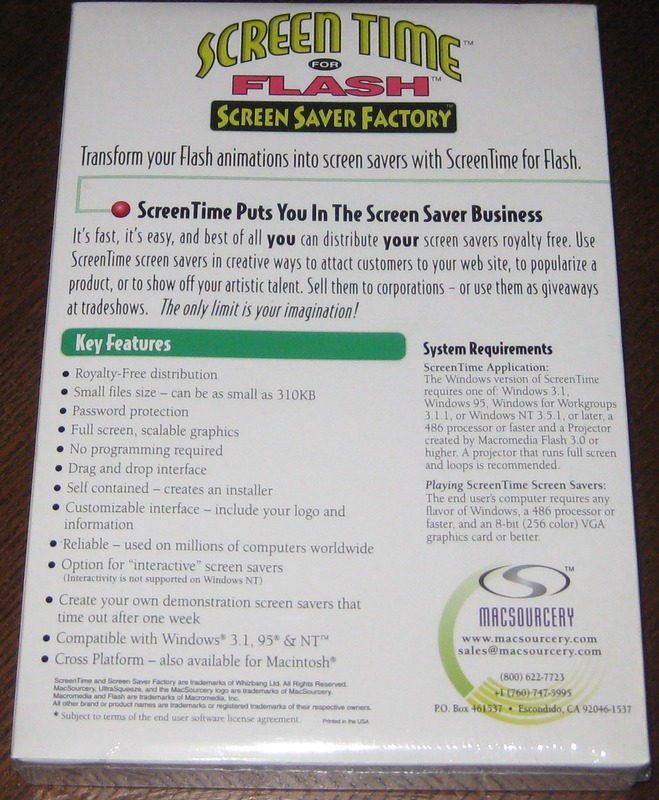 “The Professional Animation/Presentation Program for the Macintosh.” No copyright date on the packaging, though the front does mention a 1990 award. 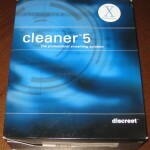 System requirements: Mac OS 6.0.5, 5 MB RAM, 32-bit QuickDraw, math coprocessor.